Being an architect, I'm rarely without a sketchbook. But being an architect who now writes rather than practices architecture, most of what I fill up my sketchbooks with are words rather than drawings. This situation really came to the fore the other night, when I was at dinner with an architect. I noticed that just about every story he told in words he also drew on paper: plans, details, whatever best conveyed his experiences. 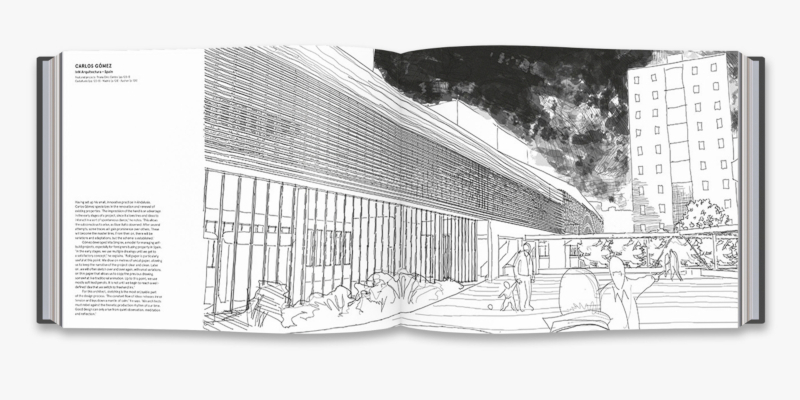 It made me a little sentimental for practicing architecture, when I would do the same sort of thing: the proverbial napkin sketch at a bar or restaurant. It also made me realize just how natural it is for architects -- of a certain age, at least -- to sketch as they talk, to sketch as they think, to sketch all the time. Most architects see such quick sketches as throwaways, or at least not as materials ripe for publication, unlike more polished drawings that require more time to produce. But Making Marks is full of, but not limited to, the quick sketches that architects produce as they think, design, and convey ideas to their colleagues. There are also plenty of polished drawings, some models, and the occasional hard-line drawing, adding up to a diverse collection of marks on paper. 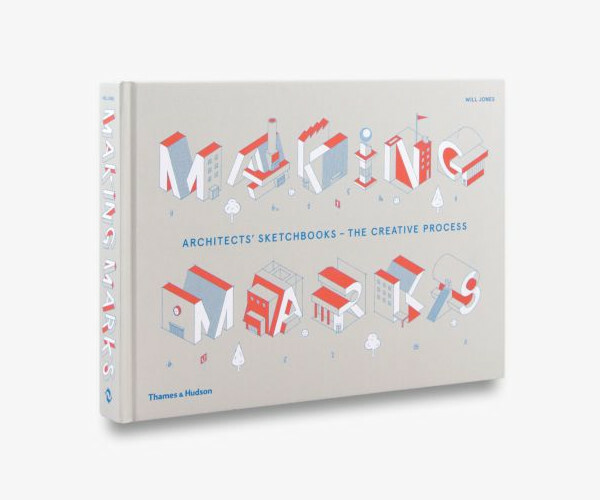 Making Marks comes eight years after Architects' Sketchbooks, also by Will Jones. 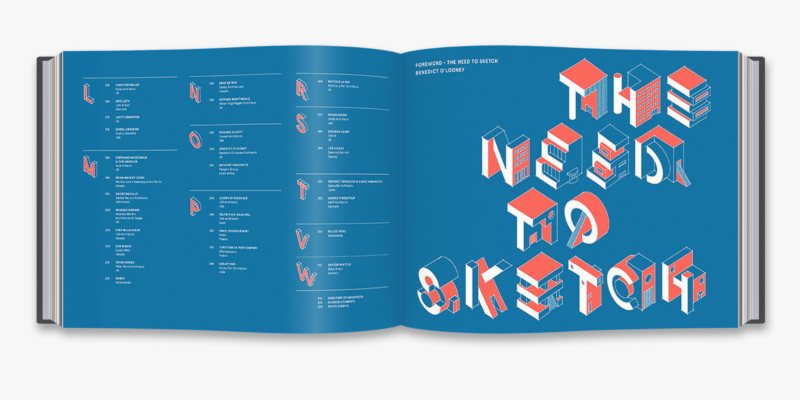 Although put out by a different publisher, the new book is very much a sequel, given that it has the same page size, landscape orientation, and paper quality, and a similar selection of architects. 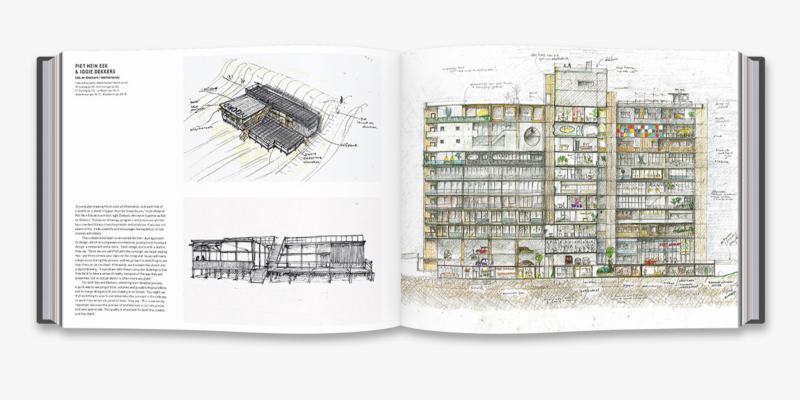 In regards to the selection, I noted in my review of Architects' Sketchbooks that the London-based Jones loaded up the book with UK architects. There is less of that here, but still many UK architects, alongside ones from Canada, USA, Australia, Japan, Scandinavia, and other parts of Europe. The most glaring omission is South America, which has so many good contemporary architects but only one in the book (from Costa Rica). 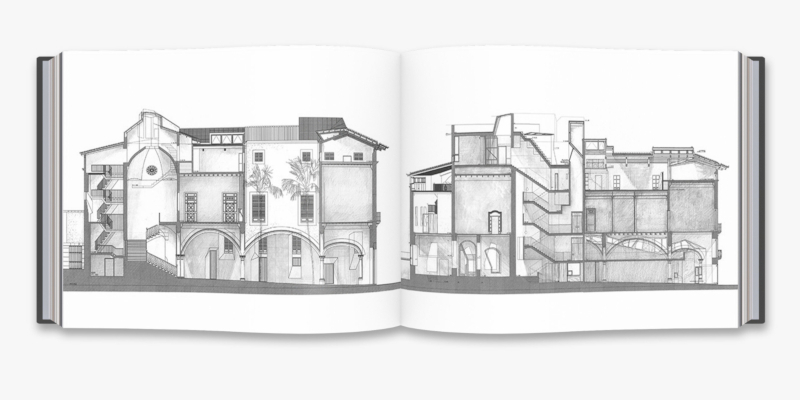 Like its predecessor, Making Marks is packed with eye candy that illustrates just how "architectural" drawings by architects are, while at the same time capturing the uniqueness of each hand. In this sense, the book is most helpful for students, who have yet to find their style but can find it as they absorb the drawings of others.